Studies show that one in five Medicare beneficiaries returns to the hospital within 30 days of discharge at an annual cost of $18 billion to the program. 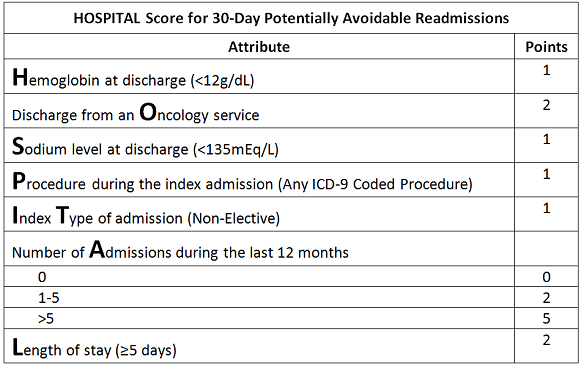 More importantly, many of these readmissions are thought to be preventable with better care. As a result of this, in the fall of 2012, Medicare began to penalize hospitals with excessive hospital readmissions for heart attacks, congestive heart failure, and pneumonia. The aim of this study was to derive and internally validate a simple score to help identify high-risk patients.